That was a Sleepaway Camp reference. Which could still wind itself up on this list ….spoilers? Maybe, but are you following any how? Friday the 13th actually happened in Halloween this year. For that perfect stormy Friday The 13th in the month of Halloween I’ve included the third entry from the franchise on the mega halloween horror movie countdown! Ok. I’m just going to put it out there. 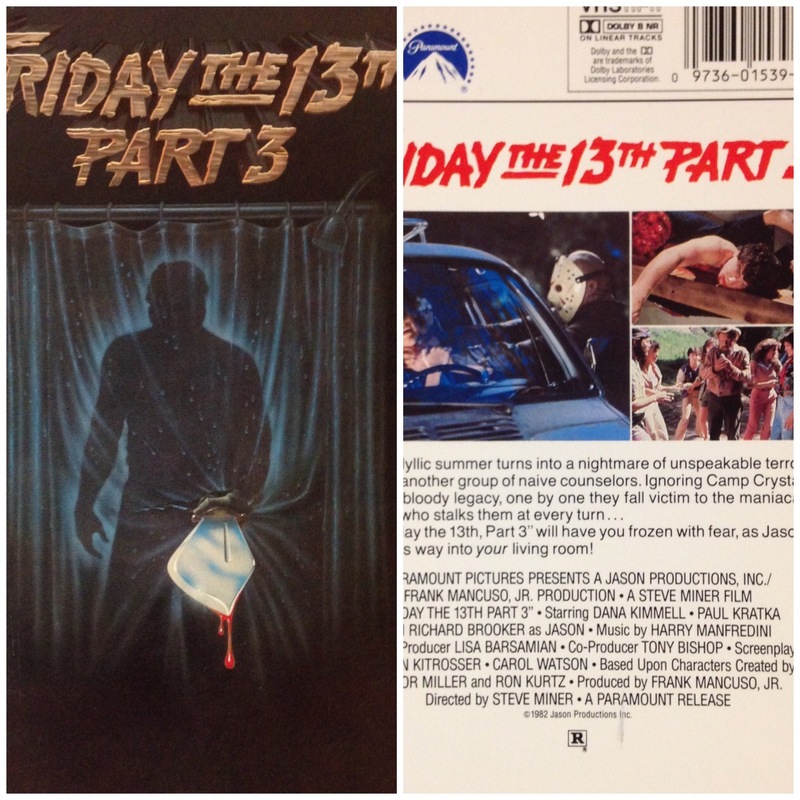 Friday the 13th Part 3 (in gloriously bad 3D technology) is the best Friday the 13th film — EVER. No, culty fans of The Final Chapter or zombie heads from Friday the 13th 6 Jason Lives those are not as good as the third entry to the franchise. Why? The gore and kills are top notch both inventing new horrific ways to be murdered but also referencing past friday the 13ths (see pregnant dead chick and Kevin Bacon similarities). It also features the incarnation of the hockey mask which will soon become the moniker of the entire series. This entry is the friday experience and perfect for that stormy Friday the 13th party.